Providing a spark of hope during the tumultuous times that the north-eastern State of Manipur is going through, a group of musicians and music lovers of the State have come out with a first-of-its-kind compilation music album. Rock Music Manipur Vol. 1, a compilation album of original music featuring 25 bands and individual artists, was released in a formal gathering of Manipur’s most well-known musicians in Imphal last week. 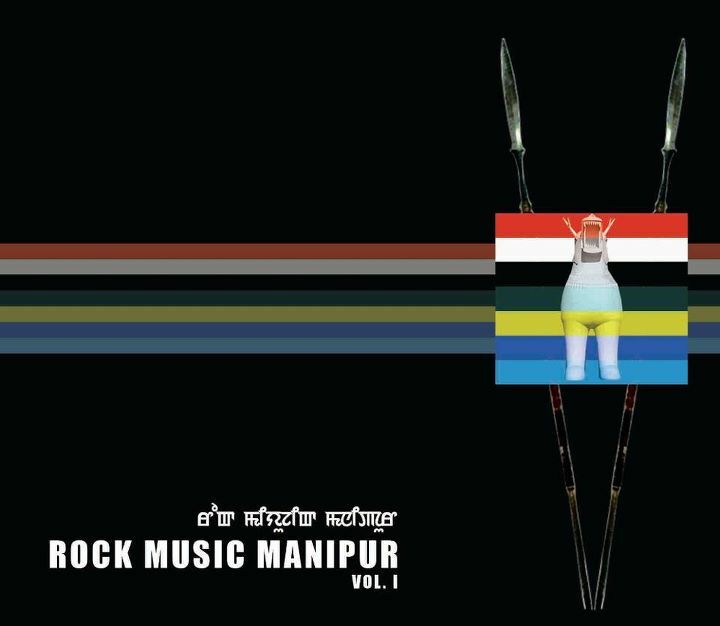 The production and marketing of this compilation was an initiative taken by the Rock Music Manipur (RMM), a community of rock musicians and enthusiasts living in the state, as well as a few people who are now settled outside. This community has compiled a total of 37 tracks of different genres, creating a sort of history in the age-old tradition and culture of Manipur. The album also features a couple of tracks by two of Manipur’s most well-known bands in the national and international circuit at one point – Post Mark and Phynyx. “Quite a number of Manipuri musicians and rock bands have written original songs, and some of them released their songs and albums via internet and as CDs or Cassettes. These are usually known in private circulation while many are unaware about the songs and the musicians who created them. The idea behind RMM Vol. 1 is to make the musicians and their songs reach a wider audience, right from the grassroots level,” says Ithooiba Potshangbam, one of the coordinators of the compiling team. Many would not be aware that the genesis of heavy metal as a genre in our country can be traced to the emergence of a couple of bands in Manipur in the late eighties. Bands like Post Mark and Phoenix had took heavy metal to all new levels of popularity. Featuring artists from Maram, Ukhrul, Tamenglong, Imphal and Bishnupur in Manipur to Bangalore and Delhi-based Manipuri bands, this compilation album is sure to carve a common platform to share and act as a social force of consciousness and change. Most of the songs in this compilation too reflect life in general and more particularly various situations in Manipur – be it the deteriorating law and order scenario in the State or the transitory moral values. Besides just bringing the music fraternity of Manipur together, the compilation has also brought to light several other facets of the music industry in Manipur, like the absence of good recording and mixing facilities. 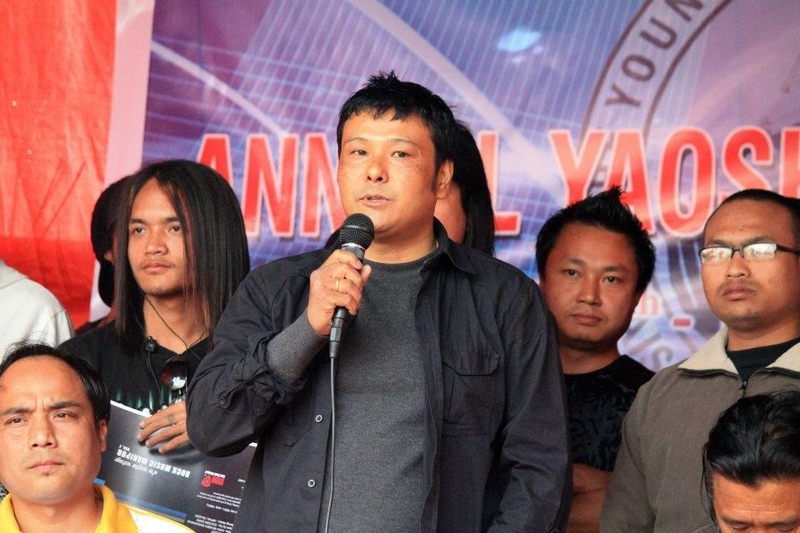 “We need good recording studios in Manipur. The sound system in Manipur hasn’t improved much over the last few decades; it’s the same sound system we have been seeing since our heydays in the 1990s. Sponsors and organizers are virtually a non-entity here,” said Selin Takhellambam, founder member of the pioneering extreme metal band Black Insurgent. While no marketing strategy has been chalked out as of yet, RMM plans for an immediate distribution of the compilation to various Yaoshang sports venues in different leikais (localities) in Manipur. “While copies of the compilation cd will be sent to different clubs in all the districts of Manipur, the CDs will also be made available for sale at various musical and related events. Money raised from the sales of the record will be evenly shared among all the participating bands and artists,” Ithoiba informed. The release ceremony for the compilation album, which was held at the Young Pioneer Organization (YPO), saw some of the biggest congregation of musicians of the State. Some of the veteran musicians who participated in the ceremony included Ingocha Thingom, Paras Nongmaithem, Boycha Konjengbam, Bobby Nameirakpam, amongst others. Members of bands like Kradle O’ Beats, Scribble Link Purgatory, Chem Weed FM, Cleave, Deeparaj Oinam, Uttam Haobam, Fringes, Dead Mobster, Wild Flower, White Fire, Yuthak Wah, Sandrembee, too were present in the ceremony.